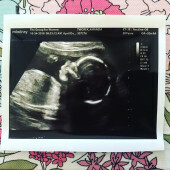 We are so excited to have this little baby join our family! We are especially excited for you to be a part of it all with us. We love each of you dearly. Because we don’t know what we are doing and aren’t 100% sure our little girl will love all these things... feel free to go off book! You may have a favorite baby item we didn’t know about! Just include receipts just in case she is a diva... let’s pray not.